Okay, it's not that I have anything against buttermilk, it's just that I never have it in the fridge. I don't keep it 'just in case' so spur-of-the-moment recipes that require it don't happen around here. Ranch dressing used to be one of those things that I couldn't make because I never had the buttermilk. Now, I'm not normally a super huge fan of ranch dressing, but sometimes you just have to have it! And, I got tired of not being able to have it because of that one ingredient. So I improvised. And I tweaked. And I ended up with a dressing that is awesome using ingredients that you probably already have. No special grocery store visit needed just to top your salad. Or dip your vegetables. Or however else you'd use it. 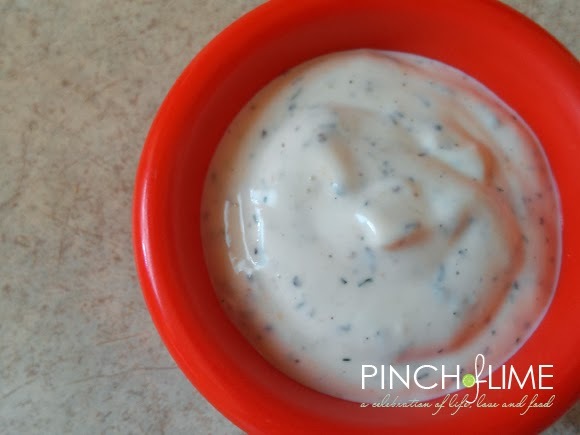 So if you're in the mood for some ranch dressing, don't be discouraged if you don't have any buttermilk! Give this one a try and you won't miss the other kind.